Examples of business visas available to international entrepreneurs managing a corporation formed in Seychelles include i) the Occupation Permit (ideal for company directors, shareholders, investors and general managers and senior expatriate company employees including marketing manager, chief engineers) and ii) a Permanent Residence, which exempts the holder from needing to apply for any other type of work or residence permit. Healy Consultants assists Clients to obtain Dependents’ Visa for family members following Seychelles business formation. Global banks continue to tighten corporate bank account opening procedures, their internal compliance departments completing more thorough due diligence of Clients. Consequently, our Clients should expect the bank account approval period to take up to 4 weeks. Furthermore, global banks now require evidence of proof of business in the country where the corporate bank account will be, including sales contracts or lease agreement. What are the banks present in Seychelles? 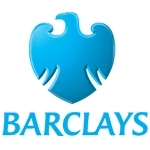 There are only eight banks present in the Seychelles and Barclays is the only global one among them. Other banks present in the Archipelago include: Mauritius Commercial Bank, Bank of Baroda, Habib Bank, Nouvobank, Seychelles Savings Bank and BMI Offshore Bank. If I form a company in the Seychelles, do I need to open a corporate bank account in the country? No, there is no legal requirement to open a corporate bank account in Seychelles for newly formed Seychelles companies. For offshore companies, it is possible to open an international bank account in the jurisdiction most convenient to our Client. 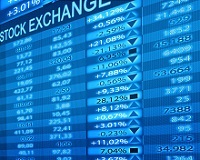 For resident companies with productive operations in the Seychelles or planning to trade with many residents, it can however make sense to open an account in the country, denominated in local currency.